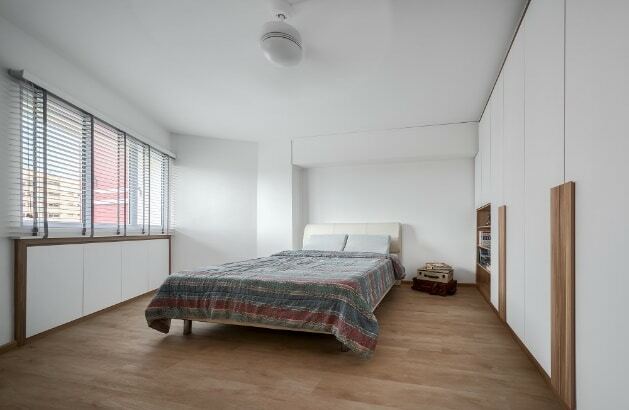 This bedroom utilizes the potential of the wood and white theme in an understated and classy way. While most of the room – including the walls and the ceiling – has been done entirely in white. The floor provides a great contrast, and the wood makes it feel warm and inviting instead of simply cold and austere. The minimalist furnishing and accessorising are just the cherry on top. Study rooms and home offices tend to emulate a no-distractions interior design theme, and this one has been carried out in a no-nonsense white and wood theme. The artful use of white surfaces – including the laminates, ceiling, and the furniture – create a really understated atmosphere. The subtle use of wood in the trimming and accenting along with the floor adds a very innovative yet relaxing touch to the space. 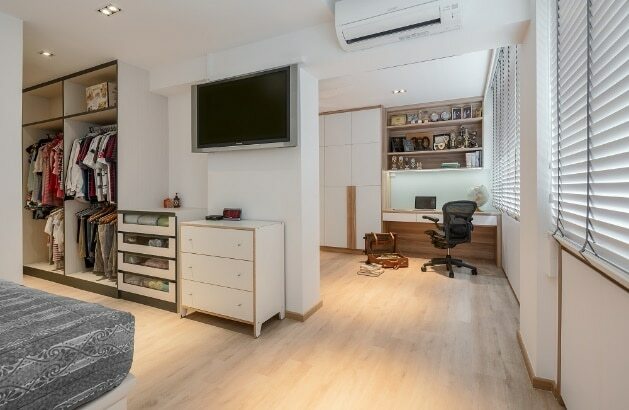 Most homeowners believe that the white and wood concept is only used in clean and modern interior designs, but did you know that you can manage it with a slightly cluttered look as well? The interior design in this image is a great example of how you can do so. 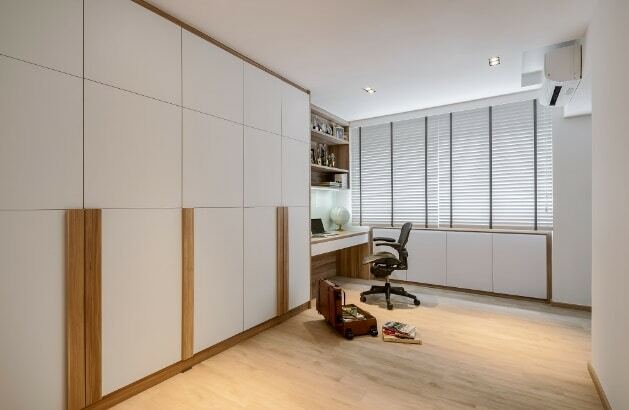 The white interiors of the wardrobe filigreed with wooden accents create a very contrasting aspect that is complemented with great accessorising. You can forego the typical brown accents and opt for something unique. 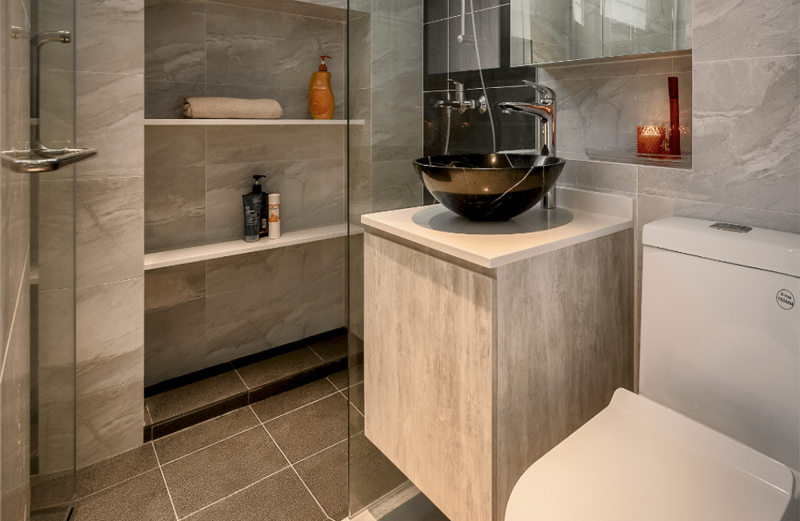 This bathroom interior design takes a totally different turn for the better by using ash wood inspired texture and pairing it with white accents. The result is an achromatic ambiance that impresses with its understated elegance and restrained beauty. 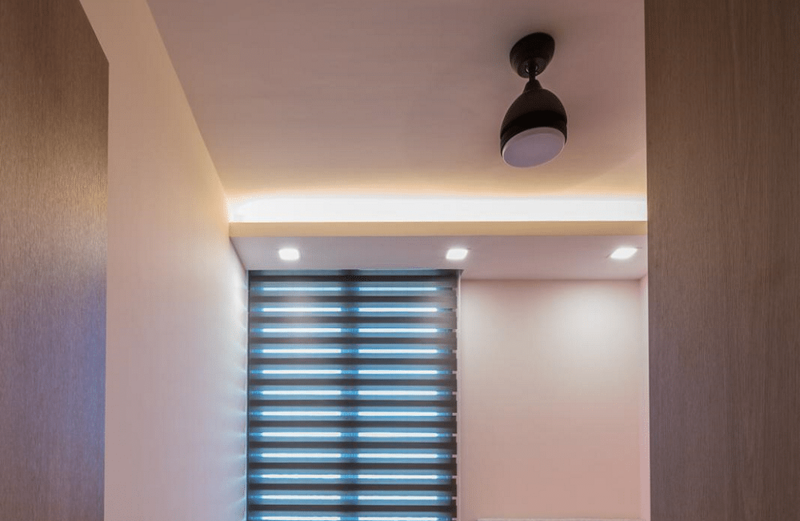 This contemporary interior design uses the white and wood theme by framing the entrance and other portals with wood and using the white parts to create an understated backdrop. This is followed up with great artificial and natural lighting techniques that uplift the entire ambiance beautifully.